Over the past few years, there has been an explosion of people giving up the daily grind to live and travel in vans, RVs, and other nontraditional abodes. While traveling in an RV has been something people have been doing for decades, new sharing economy websites, better resources online, more modern vans, and a growing community that can provide support have made it easier for anyone to travel full-time in an RV. 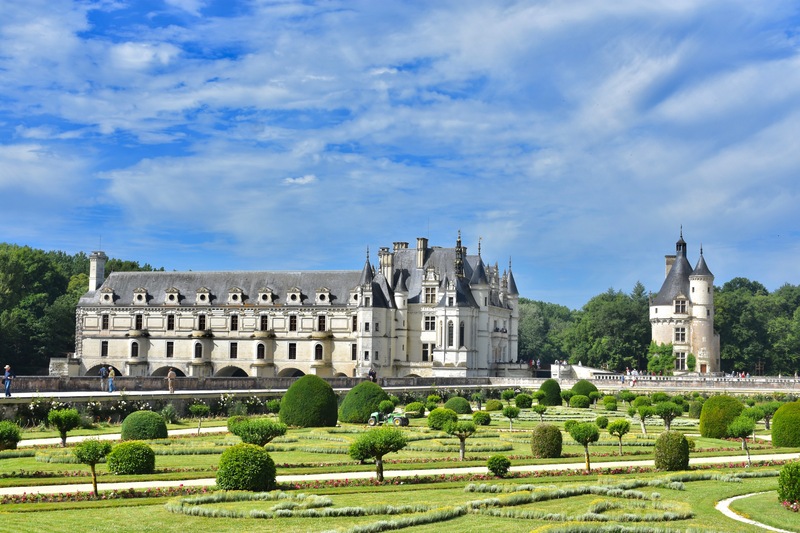 What used to be traditionally and predominantly an activity for older, retired, or family travelers is now something people of all ages are trying to do. One just has to look up #vanlife on social media to see! (An aside: I hate the #vanlife movement. The faux Instagram movement does nothing for me. Just a bunch of millennials searching out that perfect sponsored photo and talking about how woke they are (for the most part)). But #vanlife aside, RV travel is a wonderful way to see the world. “How do you travel in an RV?” is one of the questions I’m most asked. Nomadic Matt: Tell us about yourselves! How did you get into this? 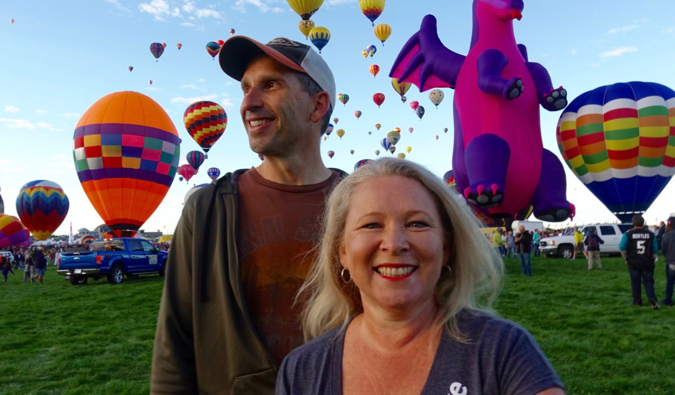 Marc and Julie: We’re Marc and Julie Bennett, full-time RVers since 2014, living, working, and traveling in our motorhome as we explore North America and the world! We met on the dating website eHarmony while both living in Colorado in 2010, married in 2011, and hit the road three years later! Why did you pick traveling in an RV as your way to get around? We knew we wanted to do a lot more extended travel while we were still working. We get such little vacation time here in the USA, and we didn’t want that to limit our lives. 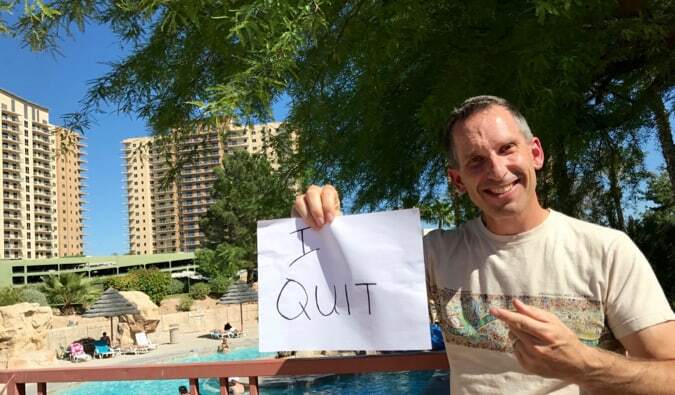 So we started exploring different ways to bring more travel and adventure into our everyday life without Marc having to give up his job as project manager of operations, which he was able to do from home. We considered international travel, but there were two main reasons why wasn’t a fit: the challenge of time zones, and more specifically, we wanted to travel with our dog Coda. Plus, we love to drive, so RVing was really the ideal solution for us. We love that wherever we go, we’re always home, and we’re not living out of suitcases. We’re both passionate about driving, so it makes sense that we would choose to live and travel by RV, although we usually prefer more sporty rides when it comes to entertainment, as we both have a love for sports cars and convertibles. What’s life like living and traveling around in an RV? We just entered our fifth year on the road full-time as RVers, and we recently changed from a 2012 36’ gas Class A motorhome to a 1999 40’ diesel motorhome! We bucked the trend and went bigger (and older and cheaper, but much higher quality), and we’re actually doing a complete remodel of our RV this summer. Traditionally, we spend about 80% of our time in campgrounds and about 20% dry camping, but we recently installed a big lithium battery bank and solar system on our RV, so we plan on spending a lot more time camping off the grid out in nature in the coming years. We try to spend 2-3 weeks in each location, but that varies on where we are, the weather, and what projects we have on our plates. We moved pretty fast in our first 3+ years, having visited all 50 states while still working full-time. This year, we have so many big and exciting projects on our plates, we’re really feeling the need to slow down, catch our breath, and get caught up on our content! We tend to wing our plans a lot more than we used to, as we’re more comfortable and confident RVers now. An average day depends on whether you have to work or not. We love that we no longer have a commute and that the views outside our windows change every week or so. Nature is a big part of our everyday life, so it can be easier to get in more walking, hiking, biking, or kayaking. We definitely get to see more sunsets — that’s a big thing for a lot of RVers. RV life is still life. You need to go grocery shopping, make meals, do laundry, pay bills, and do housework. Then there’s RV maintenance and repairs! There’s almost always something to do on an RV — tighten screws, replace parts, troubleshoot issues, check your tire pressure, fix whatever’s broken. Upon arrival at a destination, it usually takes less than 30 minutes to set up. It may sound like a hassle, but if you’re staying a week or more, it becomes a small percentage of your time. And RV life can be as social as you like. We tend to mostly stay in campgrounds, so it’s not too difficult to meet new people. And we also go to RV rallies to meet up with our RVing friends, who we stay in touch with online. It can take a little time to build your RV community, but if you put yourself out there, it can happen pretty quickly! Do you need a lot of mechanical skills to do this? When you’re traveling around in an RV, if you aren’t already handy, you’ll learn to be! It’s definitely an advantage to become somewhat mechanical and familiar with simple tools. The RVing community is very helpful and supportive when it comes to finding answers for issues you may have — whether online (in social media groups) or in person. At RV parks and campgrounds, you will usually find someone reasonably experienced and mechanically oriented nearby. If you are not skilled or it’s a complex job, you can usually find a local or mobile repair person to perform needed maintenance or repairs. We recommend sticking with a less complex RV when starting out. The more simple the RV, the more reliable and easy to fix they are likely to be, and you can tackle many repairs yourself. As full-time RVers driving a Class A motorhome, we only need to take our RV into repair facilities 2-3 times per year on average. Many RV repairs are fairly simple, and that’s when YouTube and Google are your friends! One of our favorite YouTube channels is the RV Geeks, who make DIY how-to videos to help you make simple repairs and upgrades. It’s often more convenient (and definitely cheaper) to do many RV repairs yourself. And you may even want to consider an extended service contract to cover your RV for repairs outside of the manufacturer’s warranty period and help limit repair costs. Are there any personality traits you think are necessary for living in an RV? Flexibility, adaptability, resourcefulness, and a sense of humor! Just like any other kind of travel, things don’t always go the way you want, RVs break (or break down), and travel plans go awry when you least expect it, so you need to be able to find a creative solution, often on the fly. It really helps to be handy or at least be willing to have a go at DIY fixes. RVers learn to become much more self-sufficient pretty quickly. Anyone can RV if they really want to. It doesn’t matter about your age, life stage, relationship status, or financial situation. 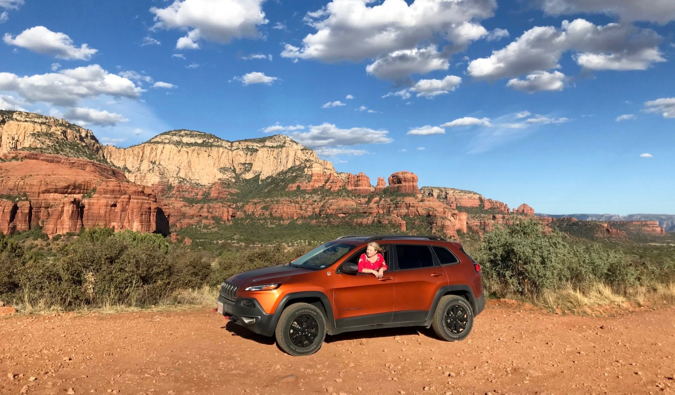 In our book, we share the inspiring story of 69-year-old Frieda who hit the road solo after her husband passed away and drove to Alaska to celebrate her 70th birthday. She’s been on the road for two years now and is still going strong. Another great case study from the book is Nik and Allison (31 and 30). 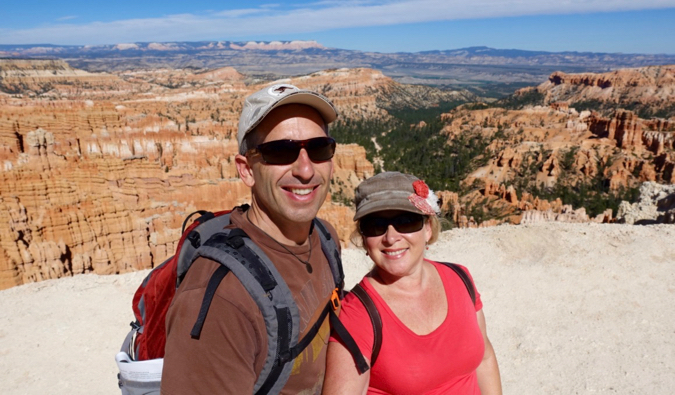 They share why they decided to RV and explore the country before they started a family. They follow the FIRE philosophy (Financial Independence, Retire Early) and save more than 50% of their income so Nik can be a stay-at-home dad. RVing for a year and a half while still working allowed them to do a lot of travel affordably while keeping them on track with their financial and life goals. There really is no “one way” to RV, just the right way for you. 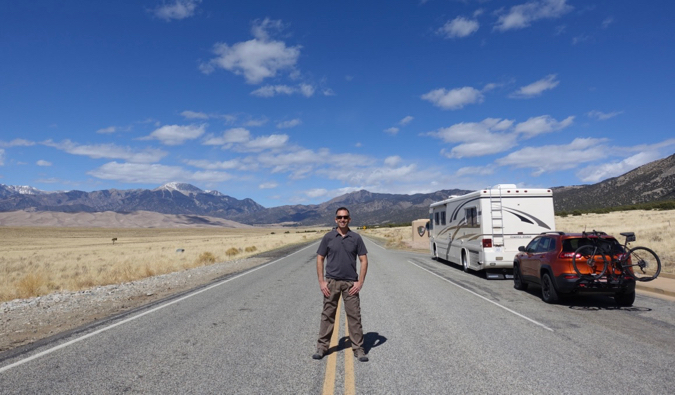 That’s why, when writing our book Living the RV Life: Your Ultimate Guide to Life on the Road, we wanted to create a roadmap for people that would help them hit the road and thrive, keeping them on track with their personal goals while they’re doing it. That’s been a big part of our own success. We’re almost five years in now and still living and loving the RV Life. Now we’re showing others how they can do it too. A lot of people are embracing RV/van life these days. Why do you think that is? A lot of people are questioning the traditional American Dream as a path to success or happiness — the idea of postponing your life, travels, and experiences until retirement just doesn’t really make sense, and of course, the future is promised to no one. Why not travel while you have youth and health on your side? Technology is enabling us to live and work from pretty much anywhere, and more companies are allowing people to work remotely, and more people are starting their own businesses. Then there’s social media and FOMO! With the increased awareness that RV or van life is possible through watching people’s YouTube channels, Facebook pages, and Instagram feeds, other people are beginning to realize you can travel and see cool places, and live or work in forests or by lakes — and they want to do it too. America has long been famous for iconic road trips — and RVs and van life offer the ultimate freedom: exploring the country on wheels. How much money will people need before they dive into RV life? It’s a good idea to pay off as much unsecured debt as possible before hitting the road. Less debt lightens your load and allows you to really enjoy the freedoms of RV life. It all depends on how you want to RV, and your budget. Generally, we recommend people try to save up a few months of living expenses to get started, and as a backup for unforeseen challenges and expenses. Life happens, and you just never know when you may be hit with an unexpected expense or expensive RV repair. 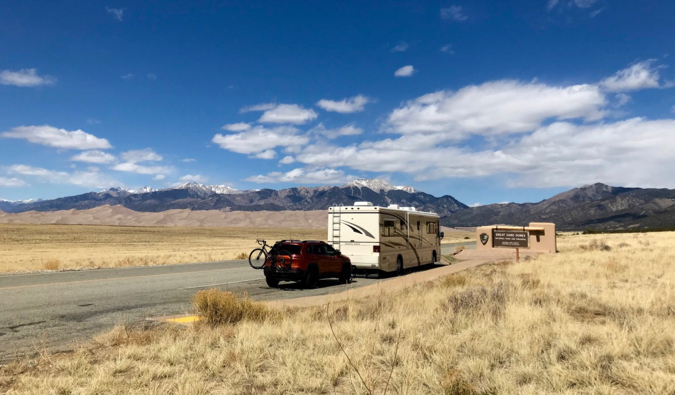 As a guide, as long as you plan and budget carefully, and make a good RV purchasing decision, it’s possible to RV full-time for about $2,000–$3,000 per month. Some do it for less, and others do it for way more. But across the board, we find most RVers end up spending about the same in their RV life as they did in their regular life. Just like in traditional life, you just have to plan to live and travel within your means. Plus, your ability to earn an income while you travel is a huge factor. If you can work from the road while you RV — as was the case for us — it can be a pretty simple trade. What we previously spent on home repairs and maintenance for our home is now redirected to our RV. Same goes for RV insurance and roadside assistance. We tend to spend a bit more on eating out and entertainment, as we’re always on the move and experiencing new places. But it’s easy to save money by making meals in your RV, and there’s no shortage of things you can do for free, like hiking, biking, and kayaking. Many people (like us) are able to work remotely with just an internet connection. Some work seasonally, then take a few months off to travel and explore. Other careers, like nursing, hospitality, agriculture, and construction are highly transferable to new locations, especially for seasonal work. For some lines of work, it can actually be easier to find jobs by having the ability to follow the work around the country. We have met people who live full-time in vans or RVs frugally, for less than $20,000 per year. And we have seen others who spend well over $60,000 per year. Like all other forms of travel (and life! ), expenses are variable, depending on how you do it. What tips do you have for people who aren’t sure what RV, van, or trailer they should get? Generally speaking, you’ll want to choose the smallest RV that you feel that you can comfortably live in. Smaller RVs offer more flexibility to access more places. Larger RVs are more comfortable for extended travel but will be more limiting in terms of where you can take them, especially if you want to stay in national parks and do off-grid camping. Don’t overinvest in your first RV — it’s the one that will teach you what is most important to you and your travel style. Start out by buying used. You will avoid the steepest part of the depreciation curve. Plus, you’ll have a much better idea of what’s important to you when it comes time to buy your second RV. It’s possible to nail it with your first RV purchase, but not without a lot of research and clarity around your priorities. What are some common pitfalls to avoid when starting out? Full-time RVing is not a vacation, it’s a lifestyle. It’s exciting when you start. You want to go everywhere and see and do everything. Try to create a sustainable travel pace from the beginning. Stay longer in an area. It’s cheaper – in terms of fuel and campground fees – and you’ll really be able to immerse yourself, explore, and even feel like a local for a while. Second, it’s easy for people to think they need a big RV to be comfortable, especially when coming from a bigger home. In the RV lifestyle, your environment and views are constantly changing, so your world feels a lot bigger, even if your living space isn’t. It’s easier to live in a smaller space than you might expect, especially with way less “stuff.” Remember our advice above when it comes to choosing the right RV, so you can avoid that expensive mistake. And finally, it can be hard to resist buying gadgets and gear before you even buy your RV! Every RV has cupboards and storage of different sizes and shapes, and you won’t know what fits where until you have your RV. Save money by hitting the road with the essentials, then spend some time traveling before investing in too many upgrades or gear. You’ll want to make sure they are going to be a fit for your preferred travel style. You can always buy what you need as you go. Don’t take too much stuff! You need less than you think and can get what you need as you travel. Do you have any recommended companies for vans/RVs? What about resources for finding where to camp/park? It’s a good idea to consider renting an RV or van first, to see if you even like the lifestyle. You can rent RVs from rental companies and even from private individuals, which gives you more variety in the types of RVs you can choose from. This is really useful for helping you decide what kind of RV is right for you, before buying one. It may seem expensive, but making the wrong decision isn’t cheap either! Many large RV dealerships rent RVs, there are large rental chains like cruiseamerica.com or www.roadbearrv.com, but if you want to rent an RV from individuals for more variety, consider doing so via rvshare.com. It is difficult to make specific recommendations about buying RVs, as there are hundreds of manufacturers, models, and types, and RVs are not like cars. The options, features, and price range of RVs vary widely. That said, we generally recommend buying a preowned RV, as they are usually more affordable, and, contrary to cars, you will generally experience fewer issues with a well-maintained preowned RV than with a brand-new unit. That’s because every RV — much like building a new house or condo — will have a “punch list” of items that need to be fixed for the first few months (or more) after you drive it off the dealer’s lot. You can find RVs at RV dealers, on websites like RVTrader.com, as well as on Craigslist or Facebook Marketplace, and from friends and family. Local RV parks often have a community notice board of RVs for sale, too. If you want to camp for free on public lands, there are websites like Campendium.com and Frugal Shunpiker’s Guides to find free camping areas. And there are thousands of RV parks and campgrounds around the country, which you can you find online, through apps, and in camping directories. 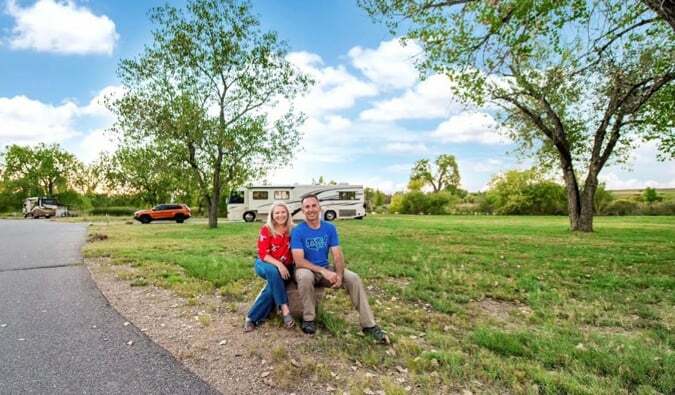 If you want more information, Marc and Julie Bennett are RVers who live, work, and travel from the road full-time, and since hitting the road in 2014, have visited all 50 USA states, plus Canada and Mexico. 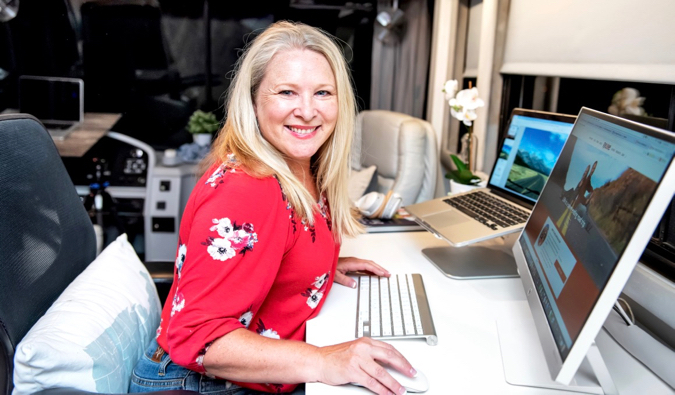 They are co-authors of Living the RV Life: Your Ultimate Guide to Life on the Road, and you can follow along on their journey via their website RV Love as well as their social media channels! If you’d like to dive deep and get hands-on help on starting your own RV life, they also run online courses at RVSuccessSchool.com. 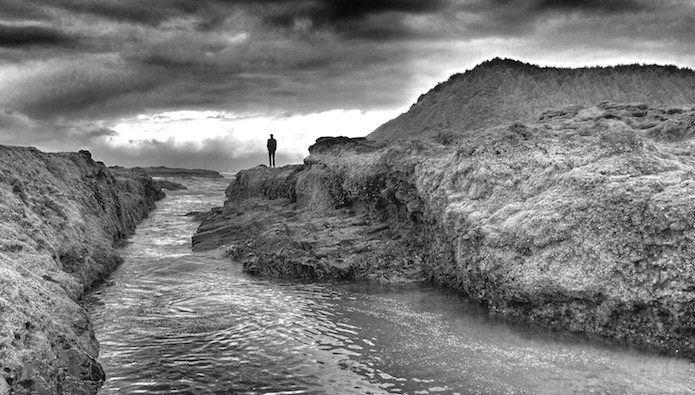 As a Nomadic Matt reader, you can get 10% off their course with the code NOMADICMATT. Just input the code when you sign up! You can book your hostel with Hostelworld, as it has the largest inventory. If you want to stay somewhere other than a hostel, use Booking.com, as it consistently returns the cheapest rates for guesthouses and cheap hotels. I use them both all the time. Check out my resource page for the best companies to use when you travel! 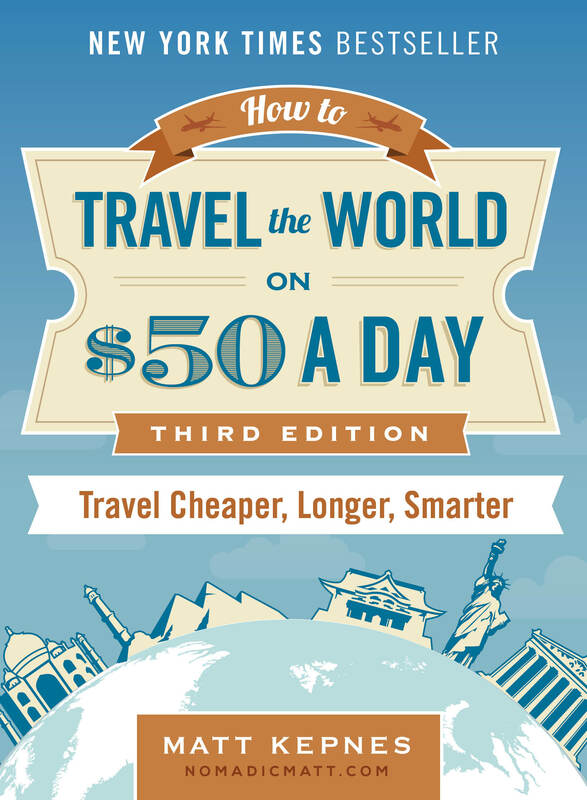 I list all the ones I use when I travel — and they will save you time and money too! I love this article! I think its so refreshing to see this kind of honesty about van life. A lot of people seem to be obsessed with this idea that it will be a crazy amount cheaper, but in actual fact, maybe not so much. I just love the overarching message about not putting your dreams on hold. Great piece!